The 2010 movies here are produced by Walt Disney and some might be co-produced by other producers too. If they are not produced with Walt Disney, they won't be listed here. Thank you. By the way, they are not in order of latest release or rankings. Is this out yet in Malaysia? The dogs are cute! Santa Claus has lost his magic crystal, causing him to remain mortal, threatening the future of Christmas. Coming to the rescue are the lovable Santa Buddies and assorted canine characters racing against time as they attempt to find the crystal and preserve the spirit of Christmas for the world's children. For more info, click on the photo. Avalon High at first appears to be a typical American high school to Allie Pennington, a transfer student, but soon the perception changes. Allie begins noticing unmistakable similarities between her new school and the legendary Camelot, and as the story progresses, Allie becomes obsessed to the point that she is convinced it's up to her to solve the mystery lest history repeat itself. For more info, click on the photo. The Brother is so cute! Den Brother is a Disney Channel Original Movie about a high school hockey player and his little sister. Alex Pearson (Hutch Dano) is the older brother attending Lemon Oaks High and has a crush on the prettiest girl in school. He desperately wants a car to impress her but his dad doesn't agree based on Alex's general attitude. In an attempt to get back in his father's good graces and get the car, he starts doing more chores and babysitting his little sister Emily (G. Hannelius). He finds himself becoming leader of his little sister's girl-scout type group called the Den Mothers. He is juggling his duties as a leader of the troop and his aspirations as a hockey player while trying to get the girl at the same time! For more info, click on the photo. I don't have a crush on either 3 of the Jonas brothers, Teddy! Camp Rock 2: The Final Jam is a sequel to the popular "Camp Rock" movie and is produced by Walt Disney Pictures. In this film, Mitchie is excited to return to Camp Rock to jam with her friends Jason, Nate, and Shane. The crew is looking forward to spending the whole summer making music and enjoying time with all of their friends. However, a new camp (Camp Star) has opened on the other side of the lake. Many of the teachers and students who used to attend Camp Rock have left to go to Camp Star and the survival of Camp Rock hangs in the balance. One of the pivotal characters of Camp Rock (Tess Tyler) eventually ends up defecting to Camp Star. An interesting sub-plot develops as well, Nate falls in love with a girl from Camp Star named Dana Turner and they try to stick together even though their two camps are at odds with each other. Eventually the two camps decide to have a showdown to decide who stays open and who gets shut down. For more info, click on the photo. Secretariat is a film based on actual events that took place in 1973. This movie is about a woman named Penny Chenery (Diane Lane) and her race horse named Secretariat. Penny's father is ill and she takes over his financially troubled stable. She decides to work with a trainer and a jockey to prepare Secretariat for Triple Crown season. After a lot of hard work and determination, Secretariat ends up winning the event and is the first horse to do so in over 20 years. Filming took place in both Kentucky and Louisiana on tracks where actual Triple Crown events are held on. If you enjoyed SeaBiscut, you definitely will not want to miss this movie. For more info, click on the photo. Tangled is an animated film produced by Walt Disney Pictures. The story is loosely based on the ancient tale of Rapunzel. Rapunzel (voice by Mandy Moore) is a girl with very long, magical hair. She is a princess who was taken from her parents castle when she was a baby and locked away in a secluded tower. A bandit named Flynn Rider (voice by Zachary Levi) ends up choosing the very same tower as a hideout and is totally unaware that a princess is held captive there. Rapunzel ends up escaping with Flynn and they embark on a hilarious adventure. This is an adventure movie, a comedy, and a musical all wrapped up into one. For more info, click on the photo. I don't like Tinker Bell much. Sorry to her fans. 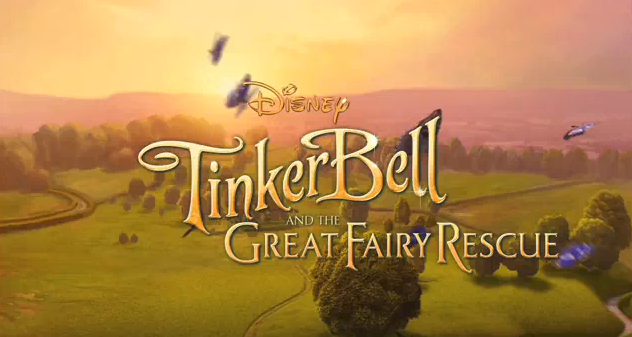 Tinker Bell And The Great Fairy Rescue is a story about Tinker Bell long before she ever met the lost boys. Tinker Bell is discovered by a human girl by the name of Lizzy. Lizzy truly believes in fairies and eventually ends up discovering Tinker Bell. Tinker Bell inadvertently ends up putting herself in danger as well as endangering fairy kind itself. The fairies in Pixie Hollow take off on a quest to save Tinker Bell and protect their very existence. This film is computer animated just as the previous films were and the special effects are absolutely beautiful. Tinker Bell fans will not be disappointed. For more info, click on the photo. People who've seen it said it's the best ever! Tron: Legacy is a sequel to the original 1982 film entitled "Tron". The story focuses on a character named Sam Flynn(Garrett Hedlund) who is the technically inclined son of Kevin Flynn (Jeff Bridges). Kevin has been missing for 25 years and Sam embarks on a journey to discover his father's whereabouts. He finds himself caught up in the same cyber-world his father is in. This world is full of dangerous programs and gladiator-type games. The father & son are reunited and embark on a dangerous journey into the depths of this beautiful cyber-verse. This place has gradually became more intelligent and is now far more dangerous than it ever was in the first film. Tron: Legacy is an action packed movie with dazzling special effects and everything you could ask for in a sci-fi movie. For more info, click on the photo. This I watched. But didn't really like. 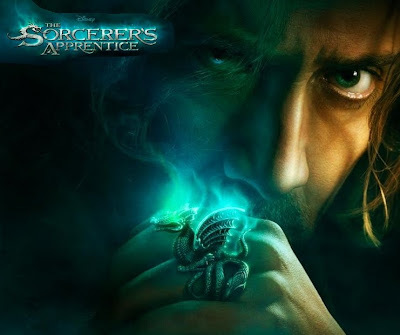 The Sorcerer's Apprentice is a live action comedy based on the "Sorcerer's Apprentice" portion of the popular Disney movie "Fantasia". In modern day Manhattan, there is a master wizard named Balthazar Blake (Nicholas Cage) who takes it upon himself to protect the city from an evil wizard called Maxim Horvath (Alfred Molina). The evil wizard wants to claim the entire city as his own and recruits a young illusionist to help him carry out his evil plan. Balthazar does not believe he can stop Horvath by himself so he recruits a seemingly average person, Dave Stutler (Jay Baruchel), to help him stop the evil wizard. Dave is understandably reluctant at first but ends up joining Balthazar's cause. Dave finds himself in all kinds of hilarious situations as he struggles to learn magic from his new mentor. For more info, click on the photo. How is the rating for this one? 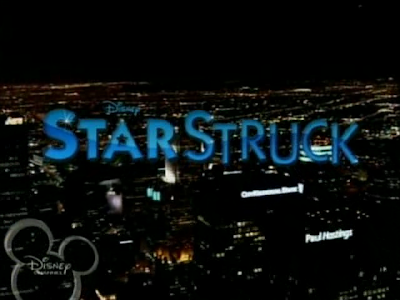 Star Struck is a Disney Channel original movie about a girl named Jessica who ends up unintentionally falling for a pop star. Jessica is sick and tired of her little sister's obsession with an artist named Christopher Wilde and absolutely can not stand him. She accidentally runs into him and lets him know that she isn't very fond of him. Due to special circumstances involving the paparazzi, Jessica and Chris are forced to spend some time together. They get to know each other a little better and end up falling for each other. However, their relationship may be hurting Chris's chances of getting a career boosting part in a new movie and that makes things a little more complicated. For more info, click on the photo. Toy Story 3 is the third installment of the popular series about a group of children's toys that come to life and engage in all sorts of wild adventures. Toy Story 3 brings back all of the characters from the previous two movies, including Buzz Lightyear (Tim Allen) and Woody (Tom Hanks). In this installment, Andy (The child who owns the toys) is all grown up and preparing to enroll in college. The toys are supposed to be put into the attic for storage but are thrown away by accident. The toys end up on a new adventure looking for a new place to call home. For more info, click on the photo. 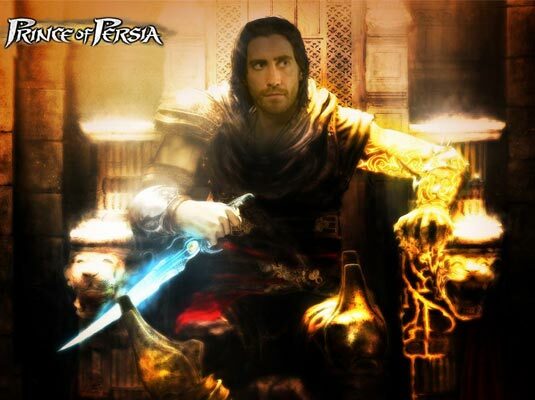 Prince of Persia: Sands of Time is a Disney movie based on the popular Prince of Persia video game series. It is the story of a prince who teams up with a rival princess to combat an evil ruler unleashing destruction on the world. The prince employs impressive combat and acrobatic skills throughout the adventure. The prince also acquires limited control over time and can travel in time to a certain extent. The prince is initially tricked by the evil ruler to unleash the Sands of Time which has devastating effects on the world. The prince and the princess intend to use an artifact called the Dagger of Time in order to restore the Sands of Time to the Hourglass in which it belongs. This is a very interesting story line with plenty of action and special effects. For more info, click on the photo. The cat freaked me out. Alice In Wonderland is a sequel directed by Tim Burton based on the original classic Disney movie. This sequel is filmed with a combination of live action and animation, unlike the original which was solely animation. This film tells the story of a now 19 year old Alice Kingsleigh and begins with Alice attending a party at a Victorian estate shortly after her father passes away. The party turns out to be a surprise engagement party arranged by her sister and her mother. As an arrogant upper-class male proposes to Alice, she spots a white rabbit wearing a waist coat dashing into a maze. Alice chases the rabbit, ends up falling down a rabbit hole, and finds herself in Wonderland again. An evil Queen has taken over Wonderland and it is up to Alice and some of her old friends to stop her. For more info, click on the photo. For the source of this post, click here. For a note, the movie descriptions are copied and pasted from the website but I linked back so just click on the photos (is this still plagiarism? do tell me). I watched only a few of the movies. Not much of a movie goer plus I prefer shopping for clothes albeit online. Okay, done with my first post that has little to do with My Story posts! ps: I feel like blogging about Disney's princesses. But Mulan isn't one of them right? I love Mulan the most!